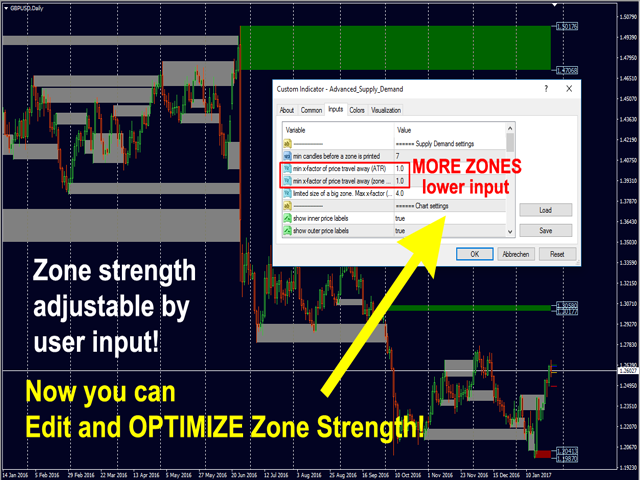 NEW: Now you can optimize and edit the zone strength for your symbol and timeframe! 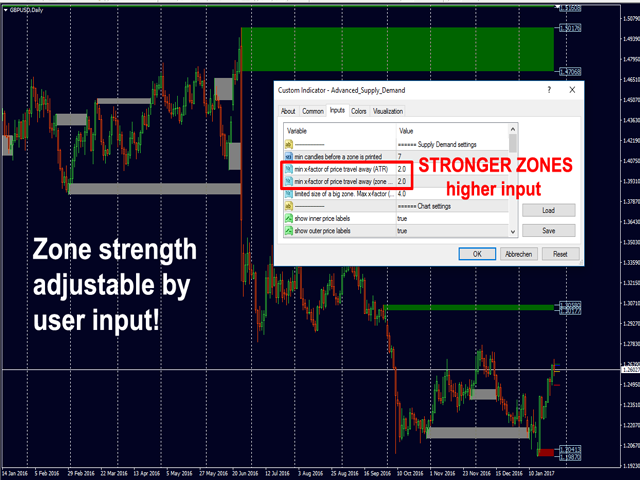 Min X-factor of price travel away (ATR) (The higher the number the stronger the zones). 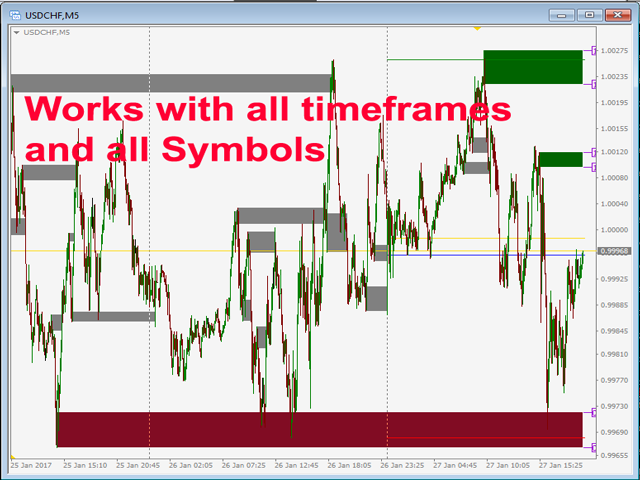 OPTIMIZE HERE FOR YOUR SYMBOL AND TIME FRAME!). 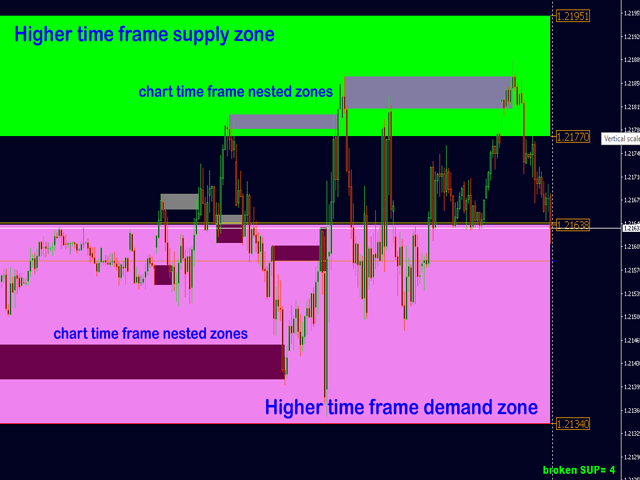 Min Y-factor of price travel away (zone size) (2nd Input: The higher the number the stronger the zones). Add higher TF (true if used). 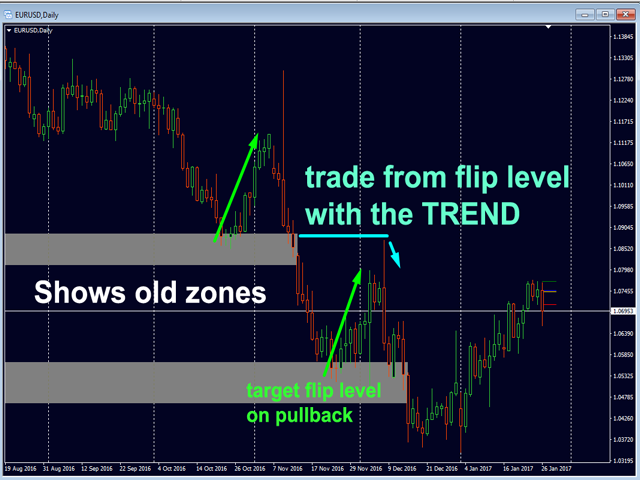 Higher TF period (or one more if chart TF) (if MTF is the same or lower than chart TF, the higher one will be used). Show inner price labels MTF. Show outer price labels MTF. Use line for old zones (show only S/R). Show number of broken Sup/Dem in a row (counter). 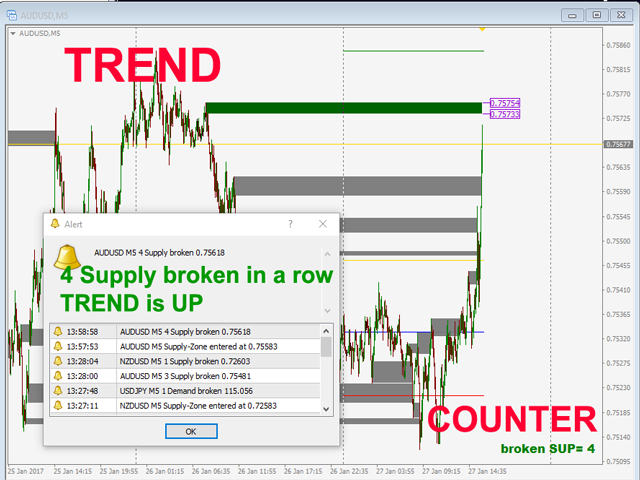 Show above in corner (show broken Sup/Dem counter in corner). 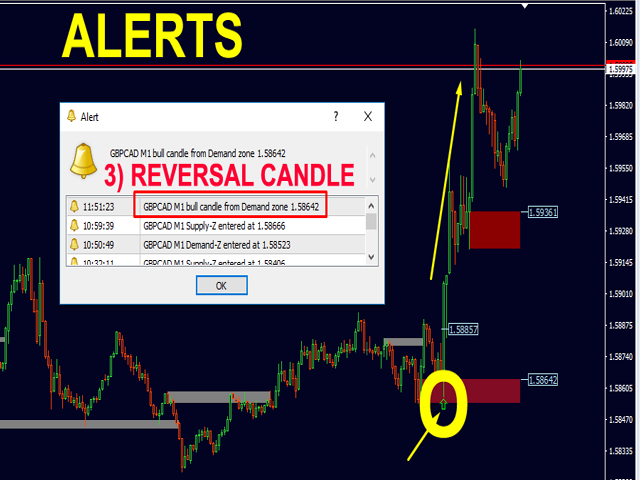 Alert reverse candle from zone. 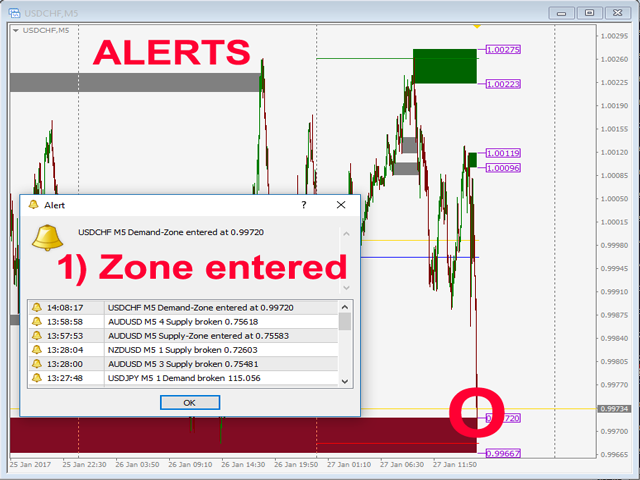 Popup Alerts (MT4 popup and sound). Use PIN (to use for an EA, writing supply and demand prices). 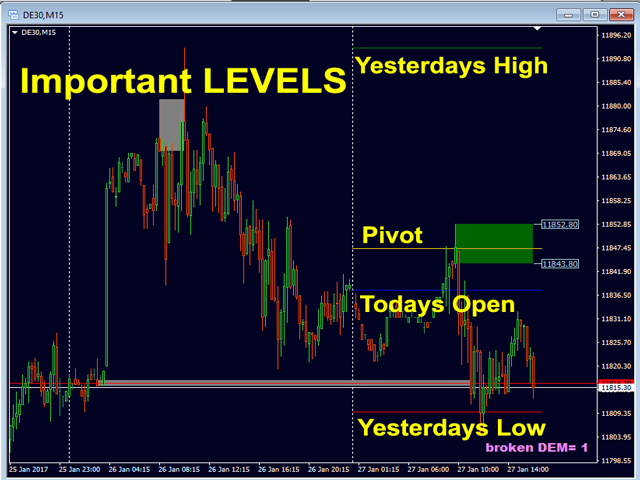 Show Bars back (number of bars back to read the levels). Show max number of supply zones. 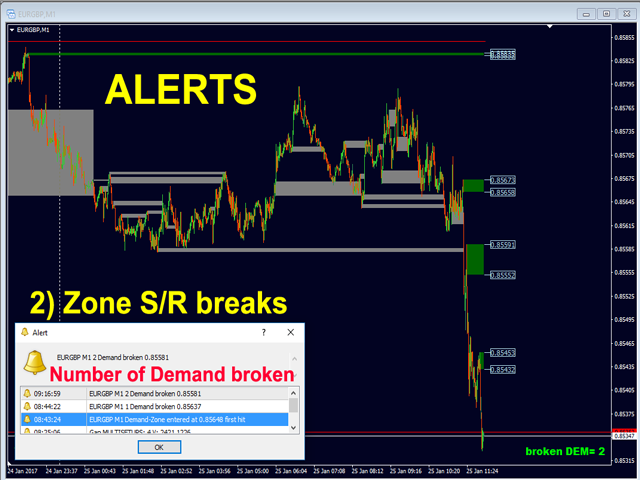 Show max number of demand zones. Font size (font size of message). This is a great tool. Useful for TP and SL levels. 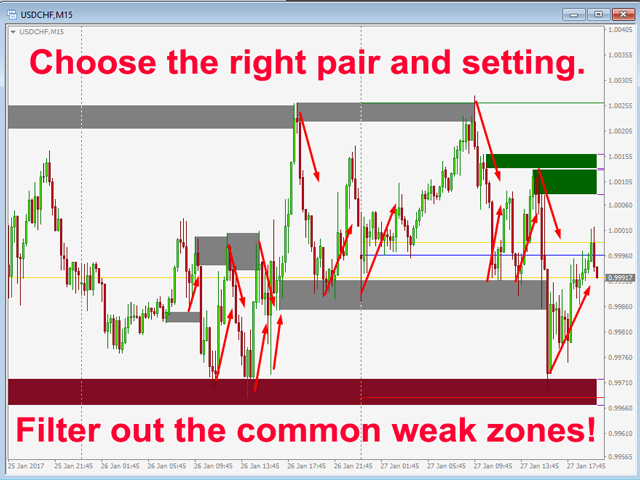 Combined with the other indicators by Bernhard, that's a winning strategy. 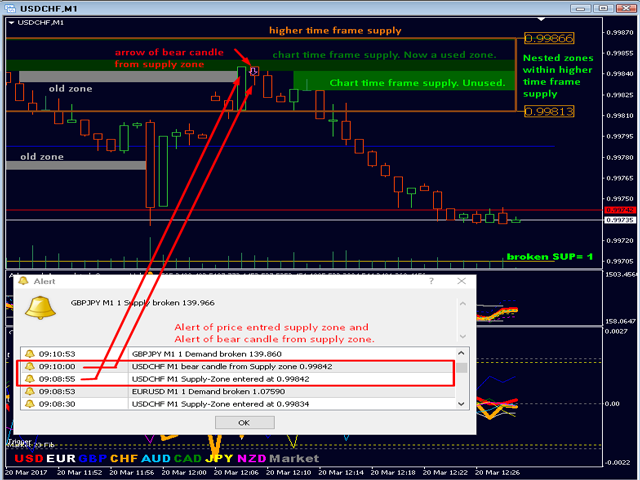 Gives access to all 5 supply and demand zones (outer price, inner price, is used or not, timeframe, symbol). Optimized the main function and made equations faster.